I saw one guy at the fence get flattened, amazed he is okay. Stunned that no one was killed instantly. Horrific crash. Fia seemed to have pulled their statement. Just wanted to let everybody know that I am fine but will be going into Surgery tomorow morning. Thanks to the @fia and @hwaag_official @MercedesAMGF1 who are taking great care of me. Thanks to everybody for the Supporting messages. Update soon. Not F1 but it’s a massive crash. and not one of those pelicans saw it in real life, 3d definition. all recording on their phones. society is busted. properly. Alrighty … I’ve not done one of these before, but this one is for anyone who has ever been at a crossroads with a big decision to make…. After the Hungarian Grand Prix at the end of July, I flew to Los Angeles. I wanted to get away. I needed space. I needed a nine-hour flight, free of WiFi and distractions. I needed to make a decision. After 10 years with Red Bull, the team had drawn up a new F1 contract offer for me. I’ve spent my whole professional racing career with Red Bull, but Renault had also offered me a deal. They both wanted me to drive for them, and they both wanted an answer soon. Looking back now, the decision about my future in F1 had been all-consuming for some time, and it took its toll on me more than I had realized. It sounds a bit dramatic, but this was one of the biggest decisions of my life. Just as big as deciding to leave my friends and family as a teenager and go to Europe to pursue my dream of becoming an F1 driver. I know in terms of life decisions, people have to make far harder ones, but to me, this decision would be life changing. And I have worked damn hard to get to where I am today. So I got on a plane. And about halfway through the flight, some 40,000 feet above the east coast of the United States, I turned off the movie I was watching, grabbed a glass of wine and had a real good think about my future. I closed my eyes and just listened to the hum of the engines. I always hear people talk about “a moment of clarity,” so I was like, Alright, clarity, where ya at? And then, I sort of just thought about it all. Like, seriously, everything. I went back, way back to when it all started for me. You see, I’ve always been Daniel. I’ve always had the same attitude. I like to be cheeky, I like to laugh, and I like to have fun in anything I do. When I was a boy, I had this big poster of Michael Jordan on my bedroom wall in our home in Perth. It was the famous photo of him at the dunk contest in ’88. He’s mid-flight, just freaking soaring. I looked at that every day before school, like, O.K., you gonna be MJ today? In hindsight, I wasn’t MJ back then — I didn’t have that killer instinct. I mean, I was just a kid. Racing ran in my blood. My dad’s from Italy and had done some racing in his day. I remember being in my mum’s arms when I was maybe two or three year’s old and watching Dad race around the track up in Wanneroo, not far from Perth. A few years later I was in a kart for the first time, and my dad was the one watching. When I showed up for my first race, I was assigned the number 3 for my kart. I didn’t pick it — it picked me. Our house address was number 3, Dale Earnhardt drove the 3 car, so it seemed pretty legit. Living in Australia, I had to wake up early to watch F1 and NASCAR races, but you best believe I was used to it. I swear, I had this internal clock that would wake me up for every Formula One race when I was a kid. I’d set my alarm for 3 a.m., and for real, at 2:55 I’d just wake up — I knew. I’d run to my parents’ room, turn on the TV and sit on the edge of the bed and watch. I’d be a pretty tired school kid come Monday, but it was always worth it. I eventually graduated from the local championships to some more serious ones. And, the story I’m about to tell you next, is the Honey Badger origin story. There’s one weekend in particular that I always think back to. My dad and I had driven a couple of hours to get to the circuit. The race was one of the more important ones of the season so it had a practice session on Friday. Dad missed work to get us there. I hadn’t been driving too well leading up to the weekend; I knew I needed to be better. During practice, two of my rivals were right in front of me, sort of battling and learning the track together. They were pushing each other and I just sat in behind them and watched. I essentially wasted an entire session because I was afraid to make a move during practice. Dad was upset. I understood why. It hadn’t been easy for him to get time off work. And he’d just had to watch his kid — who’s told him over and over again about how he wants to be a driver like Senna and Dale Sr. — waste an entire day of because he was too timid during practice. I watched as he packed up the kart in silence. We barely spoke a word on the drive back. I got home and called a friend of mine who raced, too. I told him I thought I was never going to race again. “You’ll mess with his head. Just do it.” Bear in mind, we were only 13 years old or something. I was hesitant, but the coach literally pushed me across the asphalt toward him. I walked over, looked the kid in the eye, shook his hand and wished him luck. His handshake was soft, and he looked like he had seen a ghost. I beat him that day. It wasn’t even close. Michael Jordan would’ve been proud. So, if people ask you why that lad driving the Red Bull has a honey badger on his helmet, tell them it’s because I’ve been cultivating my inner-badger for a long, long time. 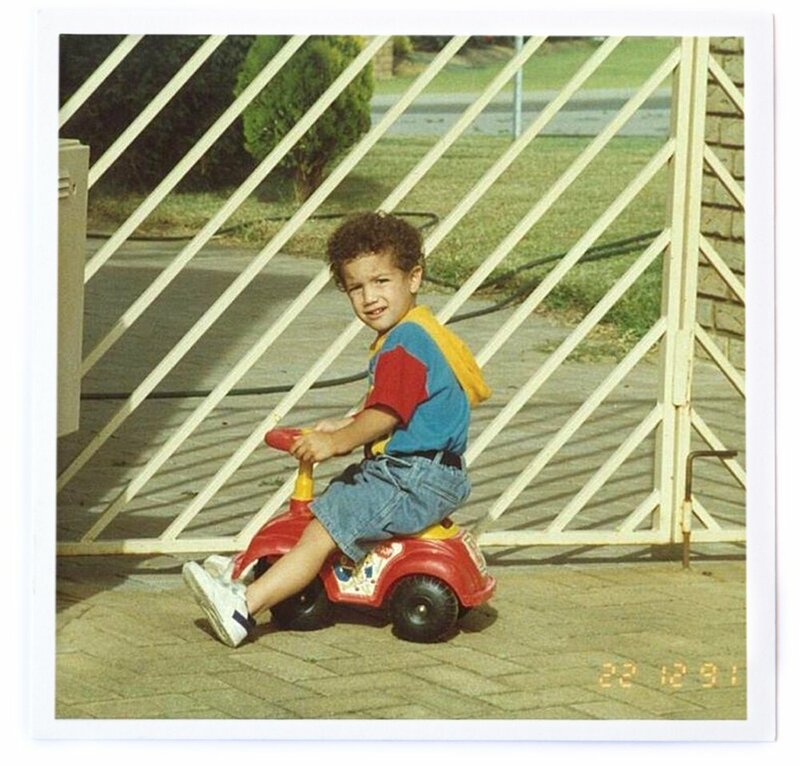 It was born on the go-kart circuits of Western Australia. And from that weekend on, I followed the badger. I’ve been cultivating my inner-badger for a long, long time. In 2007, I was in Estoril, Portugal, for the Red Bull junior test. I met Helmut Marko that day, which would change the path of my career. Luckily, I had driven well so I was in his good graces, but man was he an intimidating cat — a bad look from him will send shivers down your spine. But I could tell, more than anything, the dude just loves racing, and he really cares about his team. I could feel that passion. That’s the thing about the Red Bull program. Yeah, it can be brutal, but it’s like that for a good reason. Racing at the highest level is brutal. You need to be ready for the ups and downs. It prepares you so when that call comes, you’re ready. I thought I was ready. Then the call came. And I wasn’t ready. I was in my kitchen in Milton Keynes, U.K., with my parents on a rainy June day in 2011. My phone buzzed on the table. It was Helmut. I nearly dropped the ■■■■■■ phone. I walked back into the living room and my parents knew something was up. I told them I was going to be racing an F1 car in eight days. I wasn’t going to have to set an alarm for this race, I knew that. That whole weekend was a blur. I sat beside Rubens Barrichello in the press conference. I had scruffy hair hanging out from under my hat — I looked like an idiot (haha). The media were asking Rubens to give me some advice. I was like, I’ve watched this guy my entire life, and he’s probably never even heard of me. Lewis Hamilton pulled me aside after it was over. For a world champ to take time out of his home grand prix to talk to me actually calmed me down a lot. I got lapped like four times on Sunday, and the day was a total mess … but, s***, it was awesome. I learned that one-lap pace is just a small, small part of what makes a driver so good. I learned that there’s exactly 1 million buttons on a steering wheel. And I learned that driving an F1 car is the most fun you can possibly have. That last point is super important. It always has to be fun. And nobody has more fun than Red Bull. I learned that when I got called up from Toro Rosso to Red Bull Racing in 2014. The atmosphere was calm, easy. There was no pressure on me. I mean, nobody was expecting anything of me with Seb in the same garage. He’d just won his fourth straight world title. Going into the season, I knew that if I could beat him a few times, it would look real good for me. I was watching some of his onboards from the year before like, Man, I think I can do that … right? I remember that thought. That jolt of confidence. And then the next thing I knew, Montreal happened in 2014 — my first F1 race win at the Canadian Grand Prix. And to tell that story, I need to start it with 22 laps to go. I was in fourth behind Lewis Hamilton and Nico Rosberg, both driving for Mercedes, and Sergio Perez in a Force India. We had nearly finished the lap, and I saw Lewis limping his car back to the pits — he was out of the race with a brake issue. I’m thinking, alright, alright, alright, that’s a podium. I hadn’t seen the Mercs all day. They were mega-quick that weekend. Then, after a couple more laps, a few turns ahead of Sergio … there he was … Nico. I could see Rosberg, the race leader, for the first time that afternoon. I knew he must be having the same issue Lewis had. I hadn’t won a race in Formula One yet. I had been close … but not yet. This was my chance, but I was going to have to get past Sergio. The problem was that his Force India was quick in a straight line, and there are a lot of straights in Montreal. Lap after lap, I would get close but not close enough. I was running out of time and Vettel, who was running fourth, was right behind me, closing in. With six laps to go I could see Sergio was braking a bit earlier into corners — he was nursing a problem. We crossed the start-finish line one more time, and I was just like, f*ing hell, I’m sending it here. I went around the outside into Turn 1. I knew that even if I spun, or couldn’t pull it off, I had to go for it.… I had to try. For an instant, I thought I had gone too deep. I dipped two tires on the grass, nearly lost it, but brought it back and made it stick! P2. I knew that even if I spun, or couldn’t pull it off, I had to go for it.… I had to try. I just wanted my hands to keep working. I was trying so hard to stay calm and remember how to shift, how to brake, how to drive an F1 car. I was begging my body to keep it together — just for a few more lefts and a few more rights. And finally, I crossed the line one last time, looked up to my left and saw the checkered flag. It was the prettiest flag I’d ever seen. I saw Felipe Massa and Sergio had crashed the lap before at Turn 1, so I radioed to my team to make sure those two were O.K. before I celebrated. I was relieved to hear my race engineer, Simon, say, “Looks like they’re alright, Daniel.” And then it sunk in. 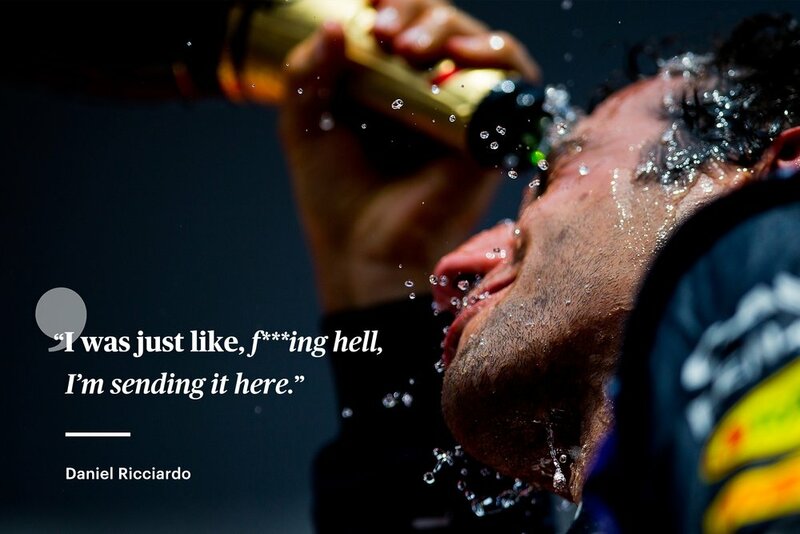 Formula One race-winner, Daniel Ricciardo. Boy, that was a sweet moment. I won’t forget that day, and that move on Sergio will stick in my mind forever. Because there was a time, back when I was teenager, when I wouldn’t have had the courage to do that. There was a time when the honey badger — my spirit animal, my alter-ego — didn’t exist. As I sat on the plane reliving that first win, so many other memories popped up in my head. And one in particular stands out — Monaco. This year. My old teammate Seb was the first thing I thought of, and saw, when I lost a chunk of horsepower on Lap 28 of the Monaco Grand Prix. It’s one thing if a problem like that comes up with a few miles to go, but with 50 laps to go, and THAT man on my tail? C’mon. What did I do to deserve such bad luck around Monaco. I thought of my second-place finish two years ago in Monaco. I thought of Nico nursing his car in Montreal when I passed him. I thought of that go-kart practice session where I was too timid. I needed everything I had to win in Monaco this year. I re-learned my braking points and my gear changes on the fly. I knew I would be almost impossible to pass in the corners so I had to extend my lead through there to keep Seb behind on the straights. It was 50 of the most testing laps of my life. And in the end … I made it. We made it. I barely remember the hours that followed, it was exhausting. I got home around 1 a.m., and I wanted to keep celebrating but I just had nothing left in me. I was dead. I walked to the fridge, grabbed a beer, and laid down in bed. It was possibly the best beer of my life. Helps it was one from my brewery too, lol. 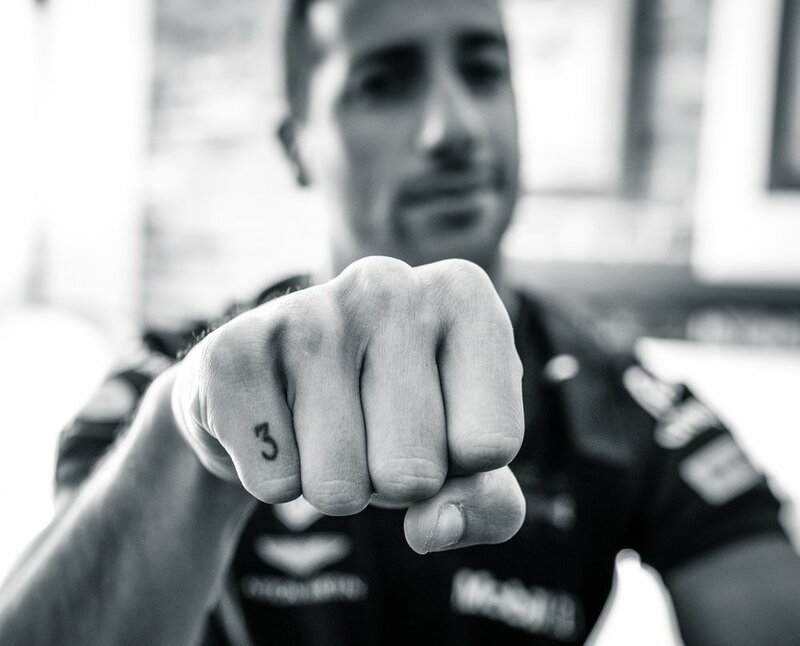 Monaco F1 winner, Daniel Ricciardo. Now that’s what it’s all about. At this point on the flight, we were almost descending into LA. I was close to my answer. I had gone through so many happy memories…. The thoughts were coming thick and fast now because I was in the present. My mind was right where it needed to be: the halfway point of this year. At times, this season has been incredibly difficult. I’ve talked about rolling with the punches … but man, even I get sore after a while. I’m human. But I really want you all to hear this: I hope everyone understands that Red Bull is so much more than a brand. It’s a family, it’s a statement of what’s possible. If a team can do all this; win football leagues, build the fastest cars, sign the best gamers, run air races, what are we all capable of? Red Bull just does rad s***, and I have loved being a part of it. 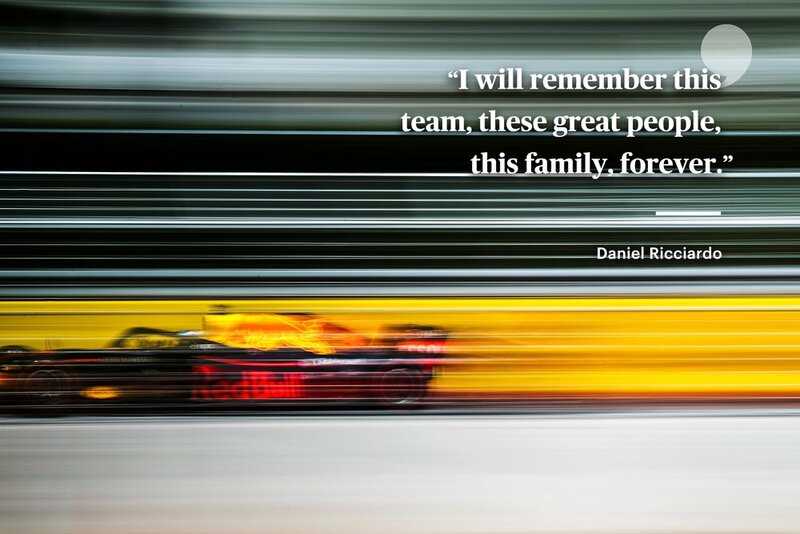 I feel incredibly privileged to have driven for Red Bull Racing and been part of the Red Bull family for 10 years. They gave me my break, and without Dr. Marko spotting me all those years ago, I don’t think I would have been able to make my way to F1, to my dream job. I will remember this team, these great people, this family, forever. And that thought, right there, is when I found clarity. I’ve done so much with Red Bull.… I’ve become who I’ve always wanted to be, right by their side. And I know, I know , that I can leave having given them my everything and having received the same in return. But I needed to listen to my heart, I needed to go it alone and make my own decision. Change is scary — it’s f****** terrifying. And I know the next part of my journey won’t always be easy, but I had to take this step to try to be the best version of me. That’s all it was. It was the next step, the next leap, a new challenge. I’m going to Renault next year, and I’m going with an open mind and a full heart. Nobody has a crystal ball, or can predict the future or the results of my decision, but nonetheless a decision was made. But for now I want to end this year strong. It’s not going to be easy, mentally. I know that. Each lap I turn in the car will mean one lap closer to my last in a Red Bull race suit. And when I get out for the final time in Abu Dhabi.… I think I’m going to have a right good cry. Maybe a few of ’em. Then winter will come, I’ll go meet my new Renault friends, and I’ll start anew. So I got off the plane, hoping my next adventure would be as fun as the first. Because when I’m old and gray, and I’m scrolling through my Wikipedia page trying to feel young again, I want it to say a couple of things. First of all, I want it to say that I won at least one Formula One championship. I need one, right? Second, there should be a section about the honey badger. I feel like it deserves that. 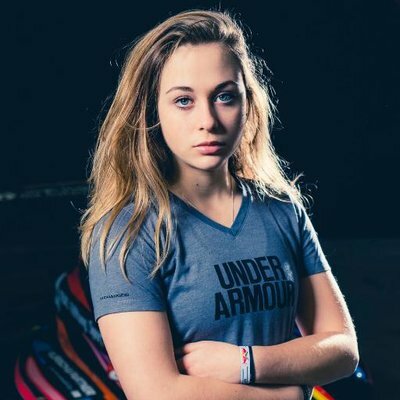 And third, I hope it says that I changed the sport somehow, that I had fun, that I drove hard and fair — that I left my mark. I hope there are kids around the world watching every weekend that know you can have fun, that you can be a badass, and still be really good at what you do. And if I could give just one piece of advice to those kids, it’s this: No matter what you do, be true to yourself. And when that doesn’t work — lick the stamp and send it. What an awesome write up. If only some of our mens tennis players had the attitude of Daniel and Mark. Hoping i can see Daniel’s car when i attend the Melbourne F1 race. Inexplicable move from Red Bull to Renault? Not inexplicable, Daniel has passed Verstappen in the straight and is way way ahead. $30M if reports are to be believed. F1 star Daniel Ricciardo may have moved to the “best of the rest” with his Renault move but the Aussie has moved into the big boys in terms of remuneration. Regardless of the pay, dan had to get out of redbull, when you’re the main driver and the team makes a deliberate decision to back the younger driver over you, its an environment you want no part of. I am still perplexed that the other big names did not want him. It almost seemed like RB made a deal with them that stopped them picking Dan. It’d be like max to him, merc want a foil for hamilton, ferrari want seb to be the main man for a few more years then leclerc to step into the seat. Yeh. But its hard to be definitive, as we are not party to internal discussions at Red Bull. Mateschitz plays favorites and seems to like his Euro boys, especially if they are Germanic. Whatever he does to manipulate the balance within the team I can only suspect, but the guy is worth 19Bn. I expect he wields a lot of power. I just find it amusing how Red Bull still are going on about Dan leaving. It’s just about as bad as Shiel nearly becoming a Fark Carlton player articles months after it happened. As I said earlier, RB thought they still had him because the other main teams wouldn’t take him (as they knew they wouldn’t). They are pretty peeved about him turning his back on them to, of all teams, Renault, with whom they had been non stop fighting. Going to the F1 for first time next week. For those that have been before if you had to pick one of the Sat or Sun which day is more enjoyable? I enjoy a good vibe with entertainment, not necessarily a revhead addict so hoping similar to the Aussie Open there are other things around to make the day enjoyable.